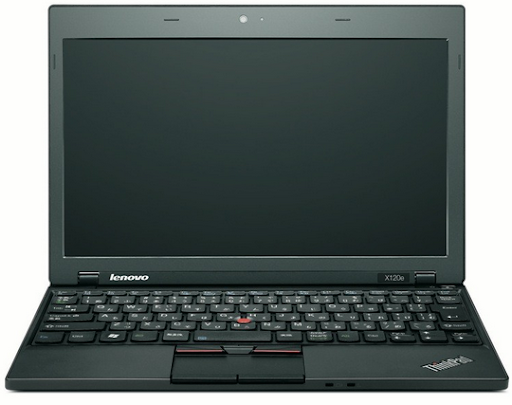 The follow-up to Lenovo's netbook killer, ThinkPad X100e, was announced by the Chinese company at CES 2011 last week. This 11.6-inch notebook flaunts a similar chassis as its predecessor but nonetheless runs on improved innards. It packs the integrated AMD Fusion E-Series APU chip, which is supposed to give users 65 percent faster graphics performance for faster Web searches, page loads and business applications performance. At the same time, the X120e gives users up to 30 percent longer battery life, meets Energy Star 5.0 specifications and carries an EPEAT Gold rating for its environmental attributes. Basically, we can say that X120e solves the problems that some users experienced on X100e like short battery life and overheating. The laptop features full-size keyboard that give users plenty of room to work comfortably. This new keyboard features a progressively clean look while supposedly retaining the same feel as that of any Classic ThinkPad keyboard. Weighing under three pounds and with price tag of only $399, ThinkPad X120e's connectivity options includes Wi-Fi, optional Bluetooth and mobile broadband. The US release of this notebook will be sometime this February. We've yet to hear word from Lenovo Philippines on its official launch in our country. not that bad considering the price is cheaper as compared to other laptop models. Any news with this product? is it available in pinas?